I really, really, like pecans. 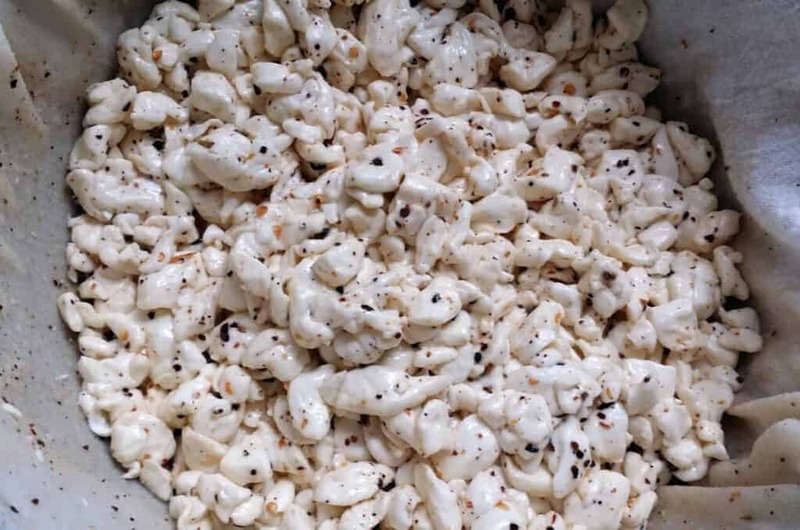 When I was a kid we would get boxes from my grandmother out in West Texas in the fall, and there was always a couple of gallon bags of pecans. Daddy would spend all of football season cracking them, and Mom would use them just as fast as he could get them out of the shells. Lots of our holiday goodies contained those little treats, and I carry on that tradition. My Mom now has pecan trees of her own that she and Daddy planted 30 some years ago. When I lived far away from home I would get care packages stuffed with a few gallon bags of pecans. It was awesome! 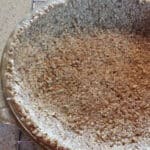 And because I use pecans in just about everything, I thought I needed a pecan crust recipe, too. So here it is. I love this recipe! 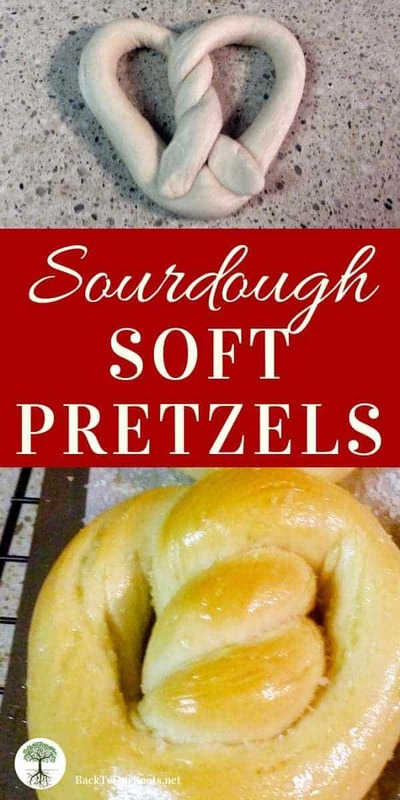 It’s crunchy and slightly sweet and perfect for all kinds of yummy deserts. 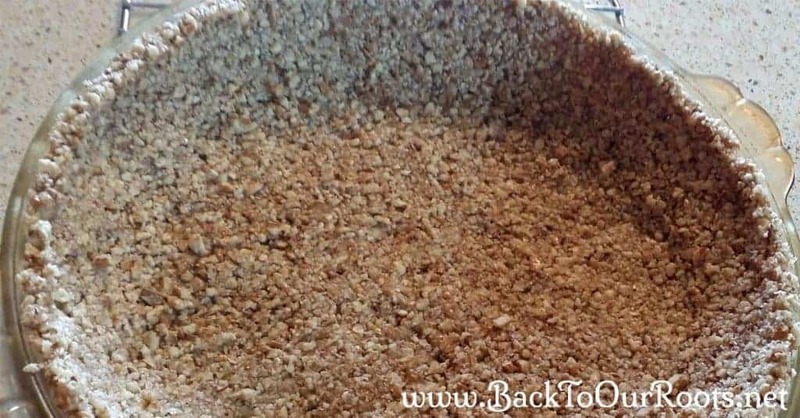 Check out my Cherry Cream Cheese Pie recipe to fill it up. 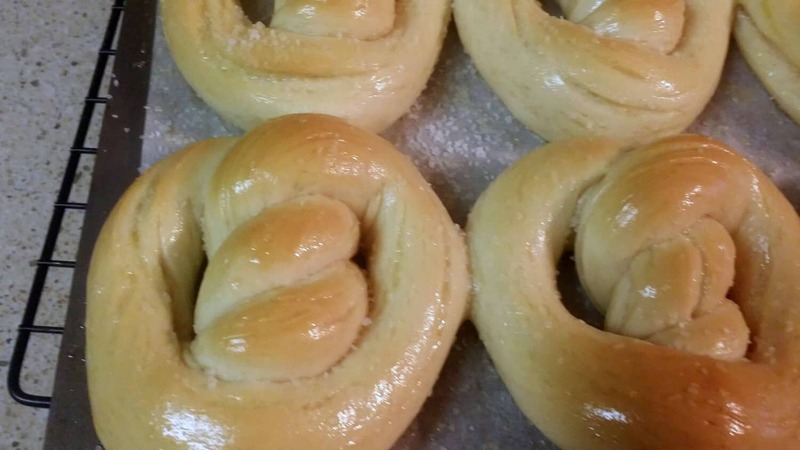 It’s made with homemade cream cheese and it’s amazing in this crust. You could fill it with a sweet potato pie. Or maybe with Spiced Plums, or Apple Pie Filling. Or, maybe get a little crazy, and put Rhubarb in it! First, chop the pecans pretty fine. You can do that by hand or in a food processor. Be careful if you’re using a processor. You don’t want pecan butter. Which is a thing. And quite tasty. But not so good for crust. Melt the butter while you’re chopping the pecans. I like to use my cast iron butter melting pot to melt it in. 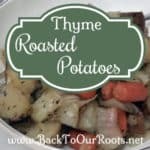 Just pop it in the oven while it’s preheating and, Presto! Melted butter. Next, put the chopped up pecans in a small bowl and add the cinnamon and sugar. Mix that up good and then add the melted butter and mix until the butter is evenly distributed. Now comes the fun part! Press the pecan mixture into the bottom of your pan(s). And then press the mixture up the sides if you want to. 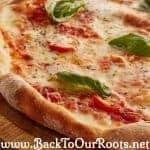 The cool thing about this recipe is that you can put it all in a regular pie pan or it has a fairly thick crust, or split it between two for a thinner crust, or even use a deep dish pie pan. There’s crust enough for all! 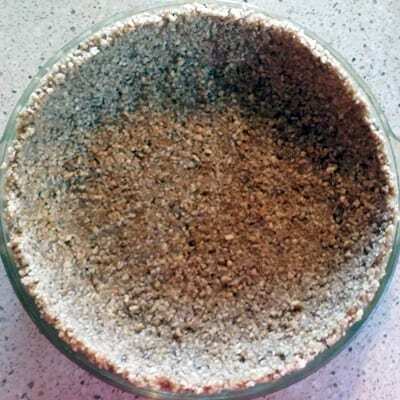 Bake the pecan crust in the preheated oven for 12-15 minutes. Only until it’s lightly browned. Nuts burn easily, so be careful. I take any leftover crust mixture and spread it on a cookie sheet and bake it at the same time. Then I have something to use as a garnish for the tops of cheesecake or sprinkle it over yogurt. And if you are topping your pie with whipped cream, it makes a lovely crunchy counterpart to that as well! 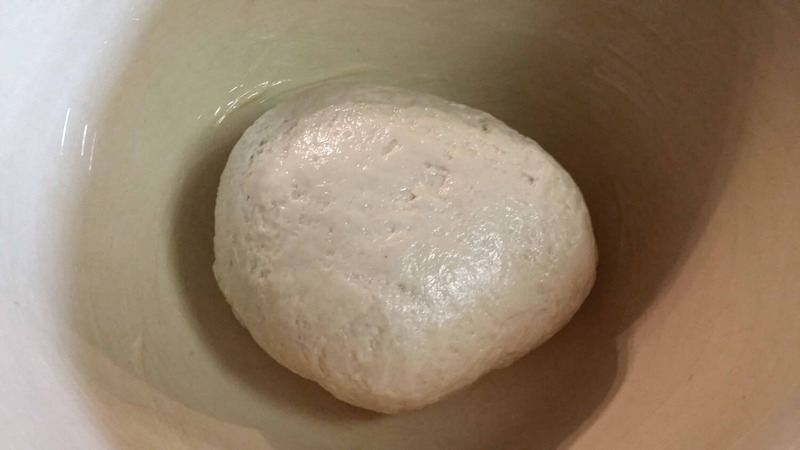 Finally, cool the crust completely before adding the filling. 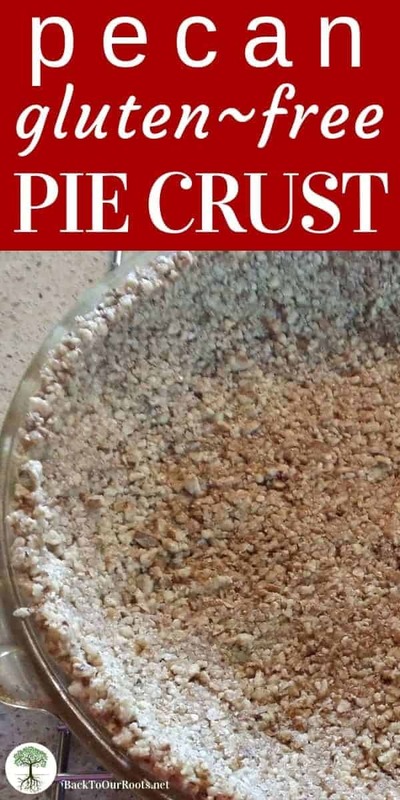 PLEASE NOTE: If you are using this crust for a baked pie, like pumpkin pie or apple pie, carefully pour the filling into the uncooked crust and bake as long as your recipe calls for. 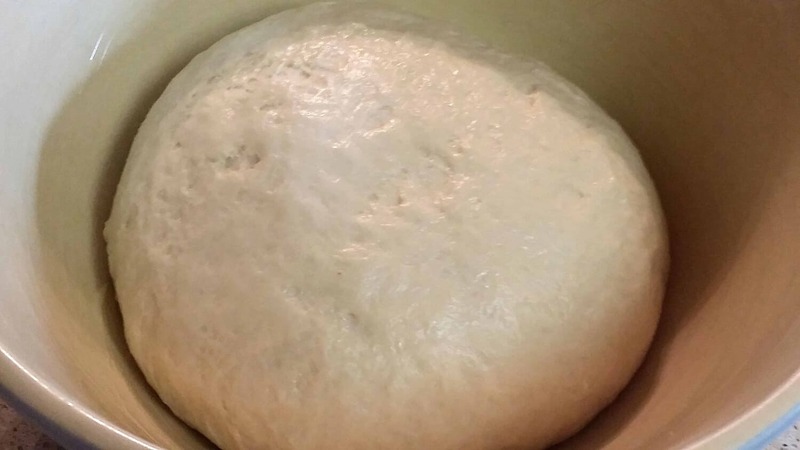 What would you put in this amazing crust? 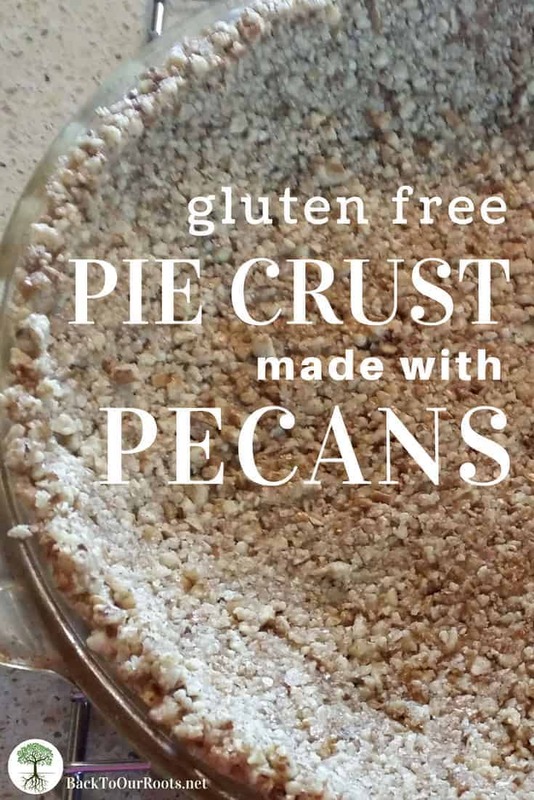 This pecan crust is the perfect crust for just about everything! Not too sweet and gluten free. Chop the pecans pretty fine. You can do that by hand or in a food processor. Melt the butter while you're chopping the pecans. Put the pecans in a small bowl and add the cinnamon and sugar. Mix well. Add the melted butter. Mix until the butter is evenly distributed. Press the crust mixture into the bottom of your pan(s). You can go slightly up the sides (like a 1/4 inch) if you want to. 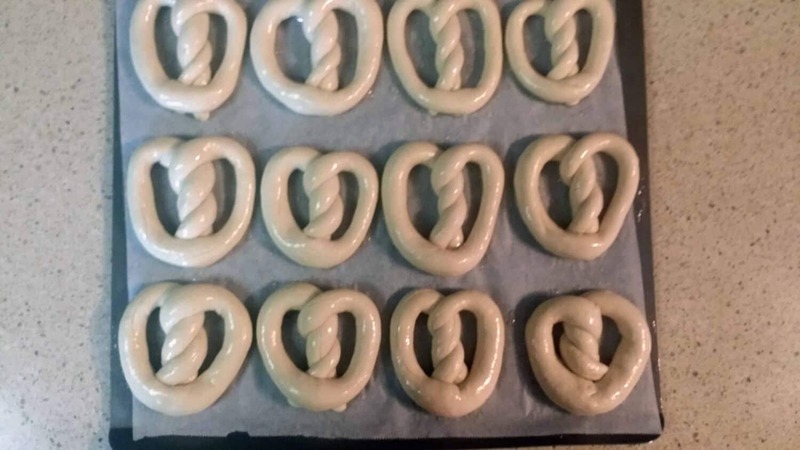 Bake in the preheated oven for 12-15 minutes. Just until its lightly browned. Nuts burn easily, so be careful. Cool the crust completely before adding the filling. My favorite salad in the whole world is the Greek salad from Panera. When I decided to stop eating out so much, I really, really, missed my weekly Greek salad fix. So I decided that the thing to so was to figure out how to make it at home. Cuz that’s how I roll. The first step for me was the cheese. 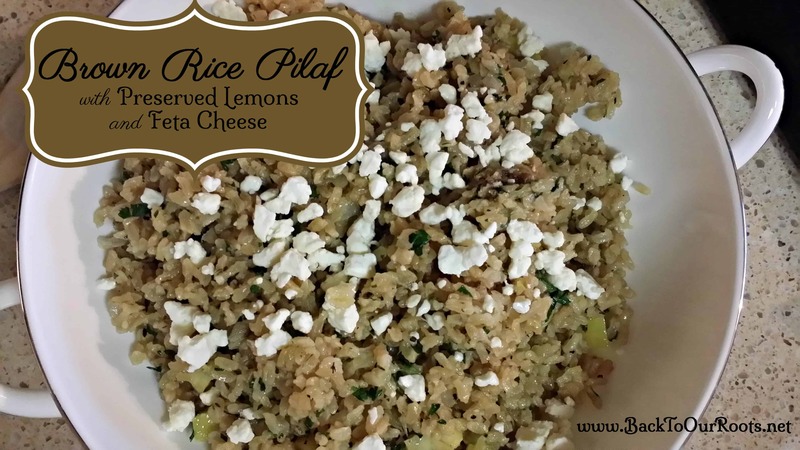 I was already making most of my own cheeses, so why not make Feta as well? As it turns out, Feta is one of the easiest cheeses to make at home. It takes a little bit of time to age, as most cheeses do, but it’s so worth the wait! Feta cheese originated in Greece and is a part of all of the cuisines from the Mediterranean region. 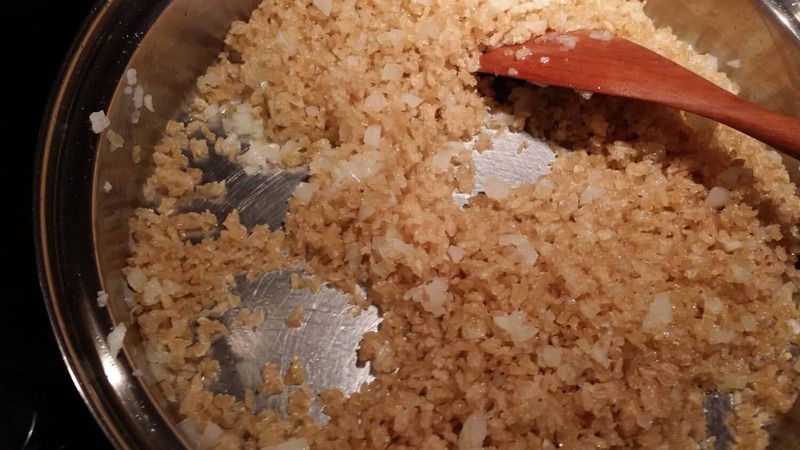 It is salty and tangy and crumbles easily. 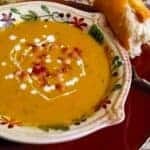 It’s used for everything from salad to dessert, and breakfast, lunch and dinner. As with all cheeses, Feta cheese is a good source of calcium and vitamins B2, B6, and B12. Depending on the types of milk you use the nutritional content and health benefits change a little. But one thing stays the same with all milks: they are good for teeth and bone health! Traditionally, Feta is made with sheep’s milk or a mixture of sheep and goat milk. But never fear! 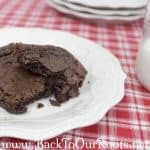 It turns out amazing with regular ole cow’s milk, too! 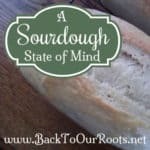 The original recipe I started with is from Cultures for Health. 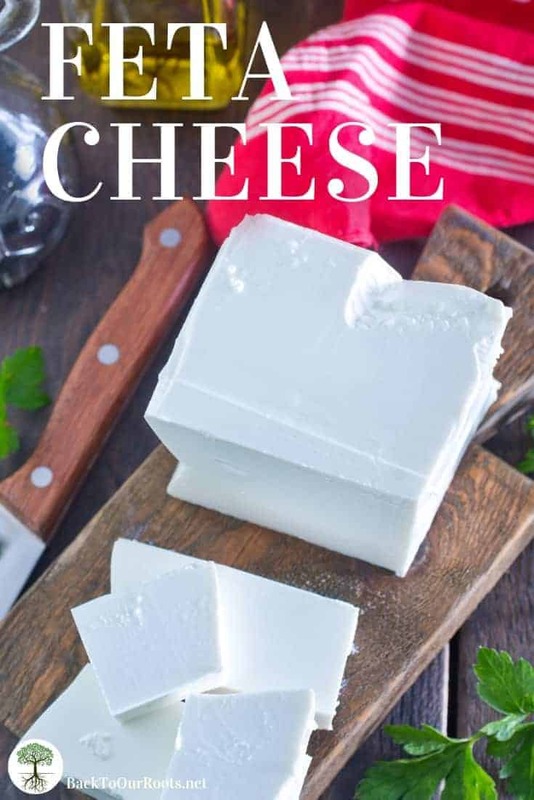 They have an amazing eBook on cheese making that you can get free. I use a slightly different method to age my Feta than they do. It works better for me and yields the same results. 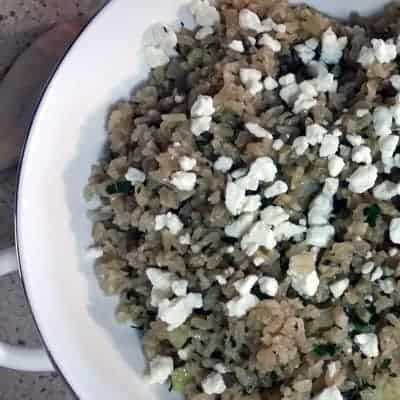 Because a little bit of Feta goes a long way, I only use one gallon of milk instead of the two that I normally use for cheese. One pound(ish) of Feta will last me several months. 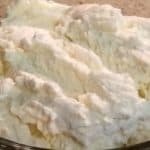 This cheese freezes beautifully, but can also be kept in brine in the fridge or in olive oil on the counter or in a cold room. 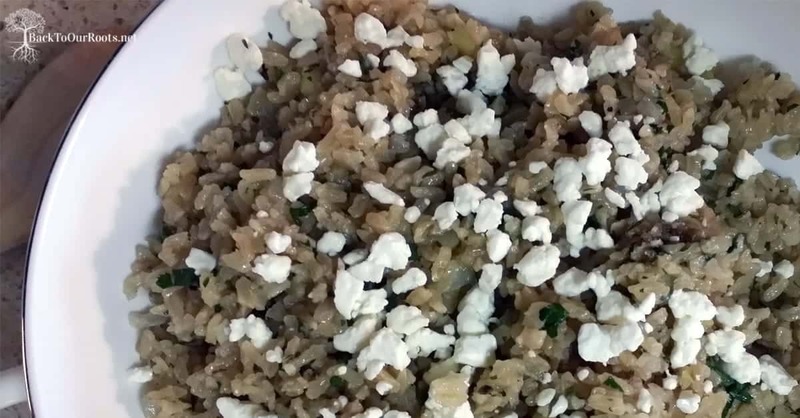 Start by heating the milk over medium low heat until it reaches 86° F. Sprinkle the Feta culture over the top of the milk and let it re-hydrate for 2-3 minutes. After it’s re-hydrated, stir the culture in well with an up and down motion. The trick here is to make sure that the culture is mixed in all the way down to the bottom of the pot. Now you need to let the milk sit for an hour to culture. I usually remove the pan from the heat, put on the lid, and cover the whole thing with a beach towel to retain the heat. After the culturing time is up, mix the liquid rennet with a 1/4 cup of cool filtered water. The water needs to be about room temperature. If it’s too cold, it might lower the temperature of the milk. Gently mix the rennet into the milk, again using an up and down motion. Mix it thoroughly, but don’t over mix. Max of 30 seconds. After you’ve added the rennet, put the lid back on the pot and let it sit undisturbed over night. I put the towel back around it if it’s cool in the house. 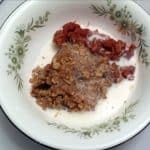 The next morning, the milk should be thick and there should be a layer of whey on the top. 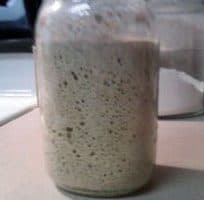 The whey will be a clearish, greenish, yellowish color depending on the type of milk you use. Now it’s time to cut the curds. Using a long knife, make cuts about 1/2 inch apart all the way to the bottom. Now turn the pot 90° (a quarter turn) and make another set of cuts perpendicular to the first. That should give you 1/2 inch(ish) squares. 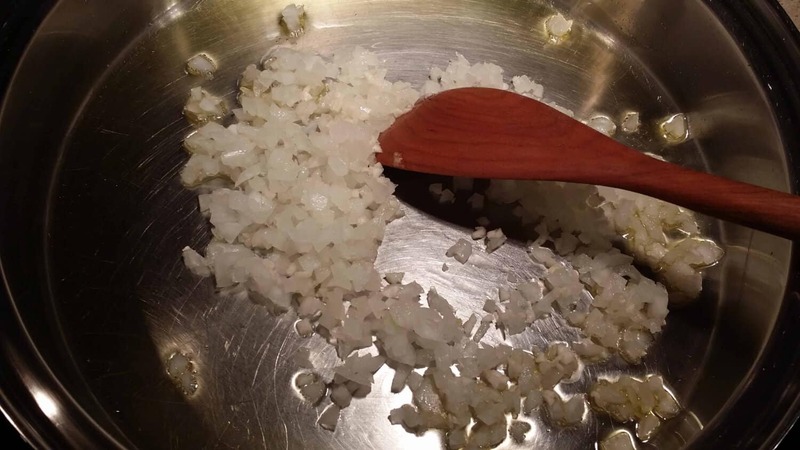 Hold your knife at a 45° angle, and cut the curds again on the diagonal down through the cuts you’ve already made. Turn the pot 90° and cut at an diagonal again. Do that 2 more times until you have made diagonal cuts in all 4 directions. When you have all the cuts made, let the curds sit undisturbed for 10 minutes. Over the next 20 minutes stir the curds gently, cutting any you missed with the spoon so that they are roughly the same size. The curds will shrink a little as they release more whey. Now it’s time to line a colander with the butter muslin. Put the colander in the sink or over another pot if you want to keep the whey. Pour the curds into the colander and let most of the whey drain out. After the Feta cheese curds have drained for about 20 minutes, tie the corners of the butter muslin together and hang the cheese over a bowl for anywhere from 6 to 24 hours. 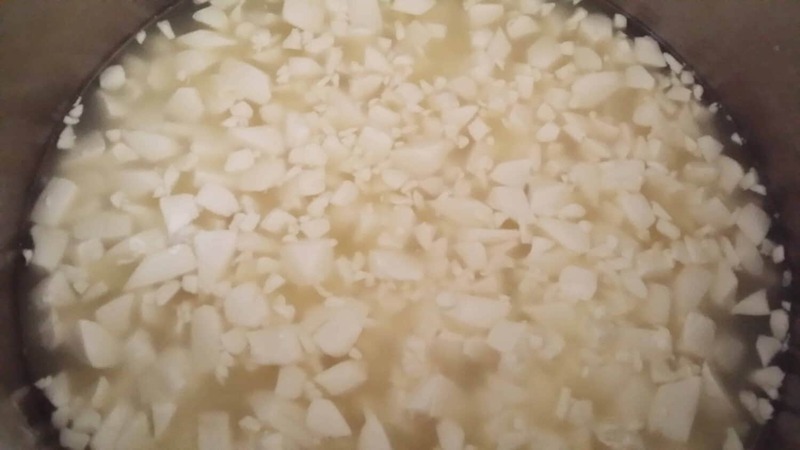 2. the Feta begins to develop it’s characteristic tangyness. The longer it hangs, the drier and tangier the cheese will be. You can turn the cheese in the cloth to make a smoother top if you want to. After 24 hours, take the cheese down and remove the butter muslin. 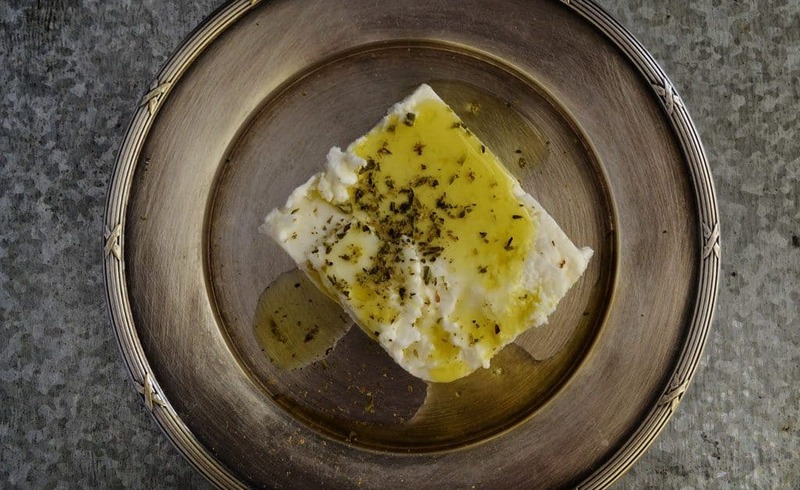 Feta cheese can be eaten fresh at this stage, but it has a more pronounced taste after brining. I put my Feta cheese in a brining mold, but you can just place it in a jar with a brine solution of 1/3 cup sea salt in 1/2 gallon of water. I brine my Feta cheese for about 30 days. After that, I slice it thickly and let it sit covered at room temperature to dry for 2 or 3 days. I put it on a piece of plastic mesh that is on top of a cooling rack. That all goes inside a rimmed cookie sheet. This way I know all the whey has been released, and it dries out after being in the brine. The Feta will release some whey into the brine as well, and that will turn the brine a little yellowish. After the cheese is dry to the touch, cut the slices in smaller pieces and store in fresh brine or in extra virgin olive oil. You can also simply put the cheese in a baggie and store it in the fridge. But if you are going to do that, I would suggest storing a small piece in the fridge and freezing the rest. 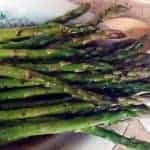 Use this wonderfully tangy, salty goodness crumbled on salads, in egg dishes, or even in my Brown Rice Pilaf with Preserved Lemons. Creamy, salty, intense crumbles of awesomeness! 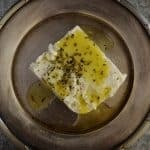 Let me walk you through making your own Feta cheese at home. You'll never go back to store bought. Start by heating the milk to 86 degrees F.
Add the milk culture and let hydrate for 2-3 minutes. Stir in the culture well with an up and down motion. Let the milk sit for an hour to culture. I usually remove the pan from the heat, put on the lid, and cover with a beach towel to retain the heat. After an hour, dilute the rennet in 1/4 cup cool filtered water. Mix the rennet into the milk with an up and down motion. Do not over mix. Now, put the lid back on the pot and let it sit undisturbed over night. I put the towel back around it if it's cool in the house. The next morning, the milk should be thick and there should be a layer of whey (clearish liquid) on the top. Now it's time to cut the curds. Using a long knife, make cuts about 1/2 inch apart all the way to the bottom. Now turn the pot and make another set of cuts perpendicular to the first. Now with your knife at a 45 degree angle, cut the curds again. Turn the pot 90 degrees and cut at an angle again. Do that until you have made angled cuts in all 4 directions. Over the next 20 minutes stir the curds gently, cutting any you missed with the spoon so that they are roughly the same size. The curds will shrink a little as they release more whey. 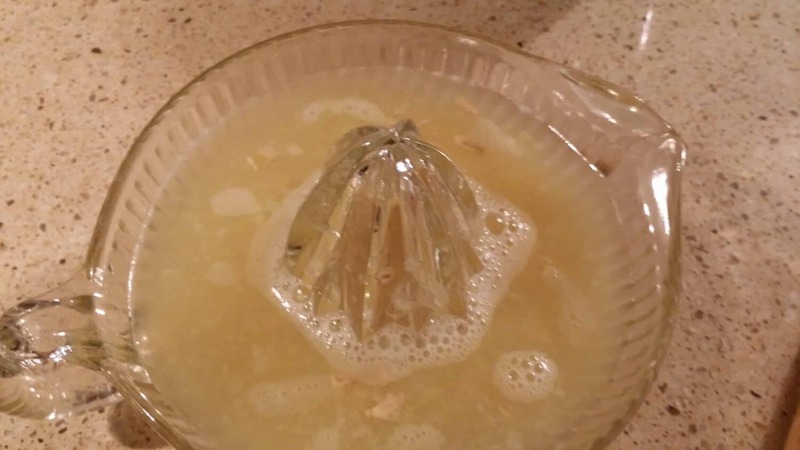 Put the butter muslin in a colander in the sink. Pour in the curds and let the whey drain out. After it has drained for about 20 minutes, tie the corners of the cloth together and hang the cheese over a bowl for 24 hours. You can turn the cheese in the cloth to make a smoother top if you want to. After 24 hours, brine the cheese for about 30 days. I am continually astonished by the cheese making process. Watching milk go from liquid yummyness to solid yummyness is a an amazing thing. And all the little variations of temperature and time that create different flavors and textures is fascinating to me. Then when you throw in seasonings like you do in this Pepper Jack recipe, you add a whole ‘nother layer to it. There are endless variations of cheeses that are being made all over the world every day. And what’s so cool about that, is that means you can craft one that’s exactly tailored to you and your preferences. That’s why this Pepper Jack Cheese is such a perfect recipe! Don’t you just love it when everyone wins? 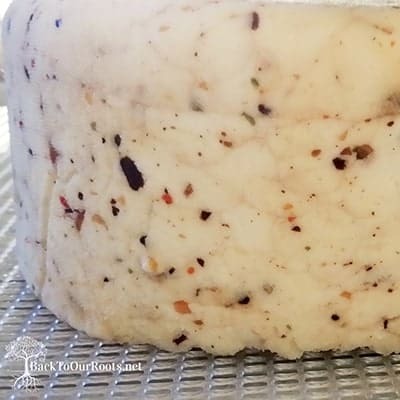 Pepper Jack is a variation of Monterey Jack that was originally brought to America by Franciscan friars in the old west town of Monterey in what’s now California. 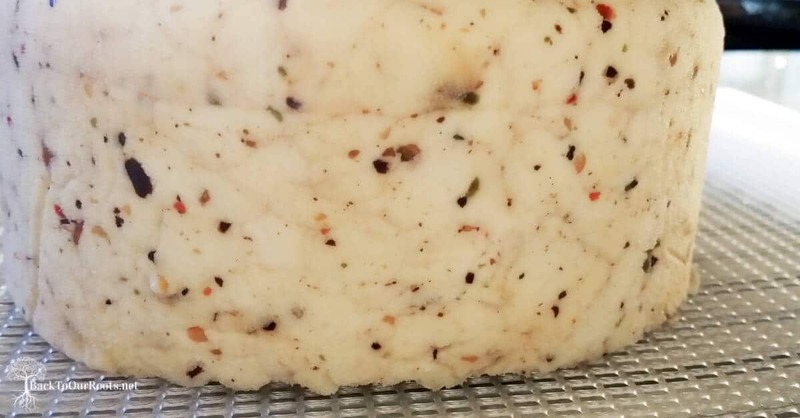 Pepper Jack can be made with any kind of peppers that you want to use. Some people put in hot peppers like jalapenos or chipotles, and others put in sweet peppers. And then there’s others that use a mixture of both. I personally don’t like the taste of jalapenos or a whole lotta heat, so the perfect Pepper Jack for me is mild and flavorful. So my peppers of choice are dehydrated green and red bell peppers, red pepper flakes, and black peppercorns. 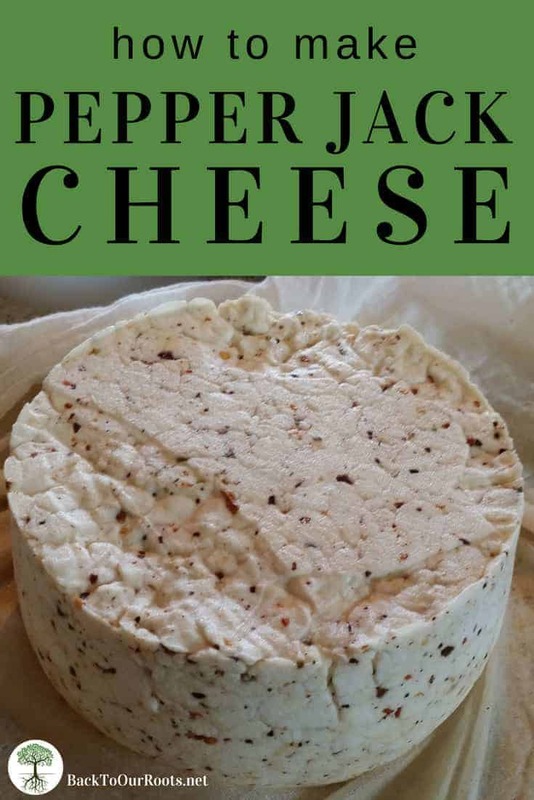 Pepper Jack is a semi-hard cheese that is mild in taste and melts really well. It’s great for grilled cheese sandwiches or queso and makes a crazy good mac ‘n’ cheese! Of course, if you want to just eat a chunk by itself or layered with sausage on a cracker, go for it! Pepper Jack has to be pressed in a cheese press. This is the one that I have from New England Cheesemaking Supply and I love it! I’ve used it for about 7 years now and have zero complaints. There are all kinds of presses available. 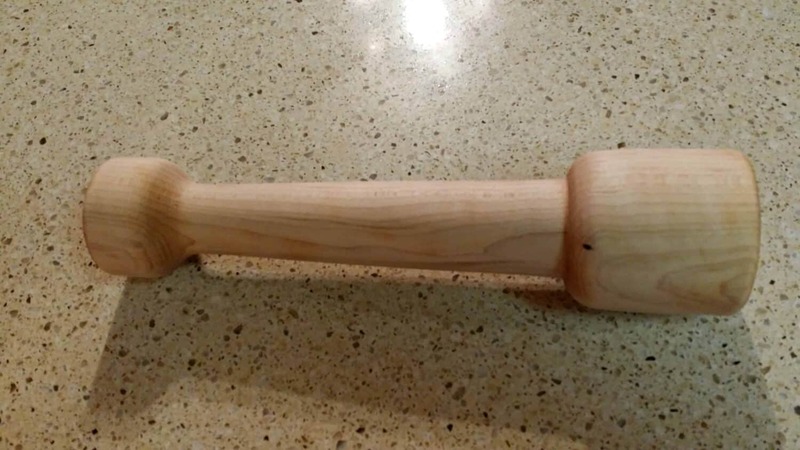 There are even plans for DIY cheese presses out on the interwebs if you’re a crafty type. OK. Enough talk! Let’s make some Pepper Jack cheese! 1 3/4 tsp – 2 3/4 tsp total of dried coarsely ground peppers of your choice. I picked the peppers I wanted to use, then put them into a coffee grinder to grind them up. 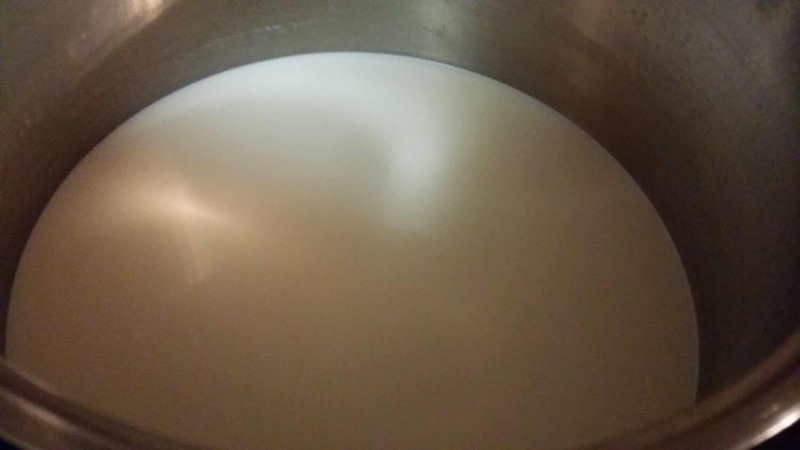 Put the 2 gallons of milk into a large stainless steel pot. Over medium heat, bring the milk up to a temperature of 90°F. 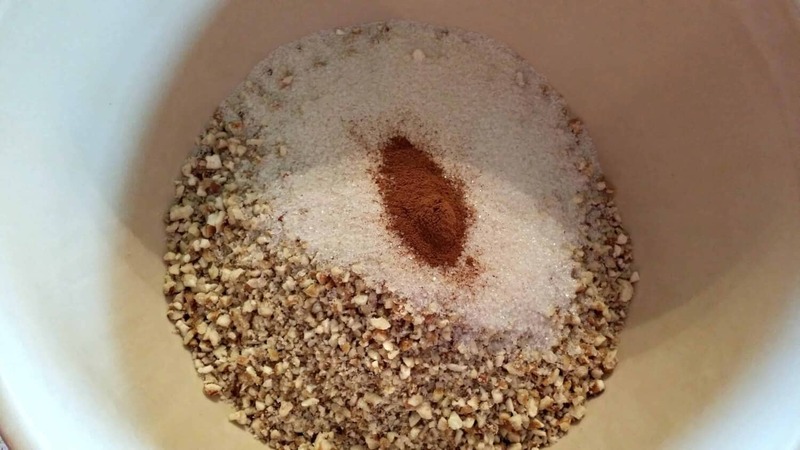 Sprinkle the mesophilic culture over the top of the milk and let it rehydrate for 2-3 minutes. After it’s rehydrated, stir the culture in with a large stainless steel or wooden spoon using and up and down motion. Once it’s stirred in, cover the pot and let it sit undisturbed for 30-45 minutes. You need to keep the milk at 90°F during this time. I usually leave the pot in the burner but turn the burner off. hen I carefully cover the pot in an old beach towel to insulate and hold in the heat. Check the temperature a few times to make sure it’s holding steady. What that means is that the culture we added to the milk is growing and reproducing. This is what gives the cheese it’s flavor. 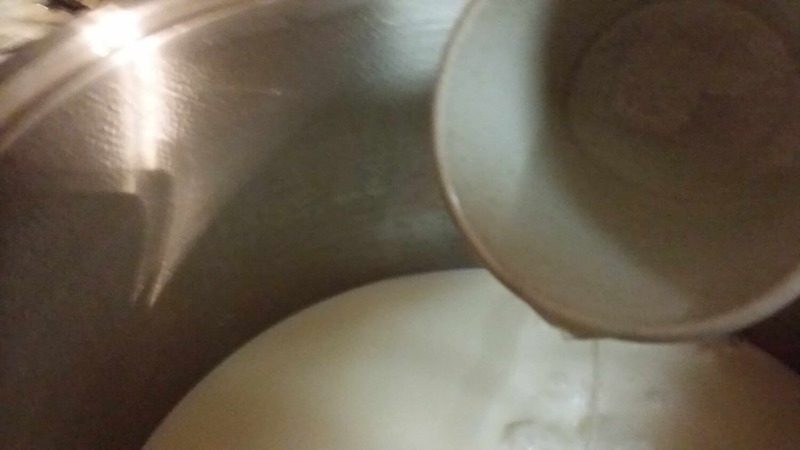 After this ripening period, stir the milk to make sure that any cream that has separated is mixed back in well. You will only have to do that if you are using non-homogenized milk. Now slowly pour the rennet and water mixture into the milk while stirring. Again, use an up and down mixing motion. It’s really important that the rennet gets mixed in all the way down to the bottom of the pot. So make sure it’s mixed, but don’t over mix. Not longer than about 30 seconds or so. And now put the lid back on the pot and cover with a towel if you’re using one and let the pot sit undisturbed for another 45 minutes. After this 45 minutes are up, the whey should have begun to separate from the curd. 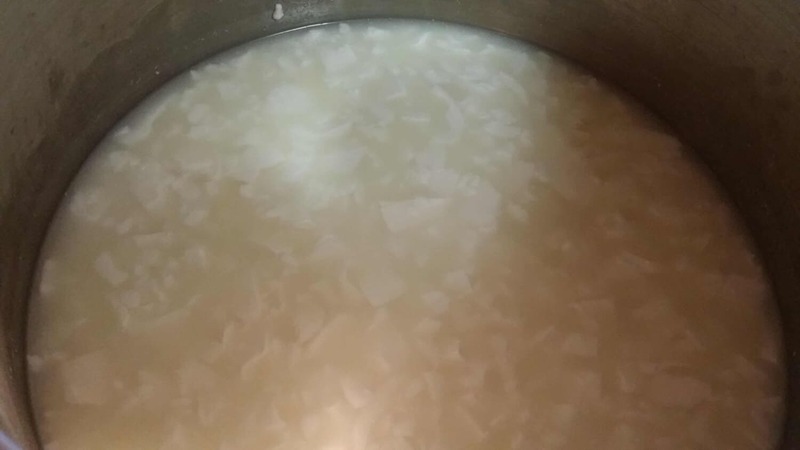 You should see a layer of clear to greenish yellowish liquid floating on top of the curd. That greenish yellowish liquid is the whey. As in Little Miss Muffit whey. 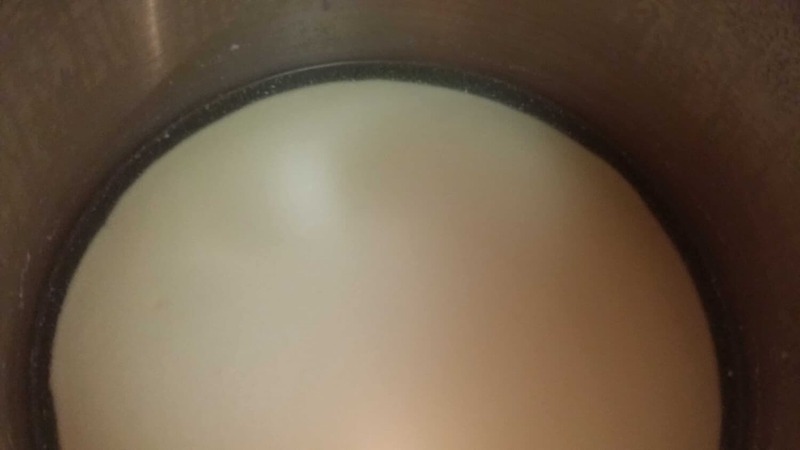 As the milk solids begin to form the curd, the whey separated out. Now it’s curd cuttin time! Using a long knife that reaches to the bottom of the pot, cut the curd into 1/4 inch (ish) strips. Don’t stress over trying to make the cuts perfect, close to 1/4 inch is good. After you’ve cut the curd in one direction, turn the pot 90 degrees (a quarter turn) and cut more 1/4 inch strips perpendicular to the first ones. After cutting both directions you will have 1/4 inch squares. Hold the knife at a 45 degree angle and cut down diagonally through the cuts you’ve already made. Turn the pot 90 degrees and cut diagonally through the cuts again. Repeat that twice more. When you’re finished you will have diagonal cuts in all 4 directions. Put the lid back on and cover the pot up again. Leave this to sit for another 45 minutes. Cutting the curds allows more of the whey to separate out from the solid cheese. After 45 minutes, remove the towel if you’re using one and turn the heat back on to low. Over the course of the next 30 minutes bring the temperature slowly and steadily up to 100°F. That’s probably going to be about 2° per minute or so. If it starts to heat up too quickly remove the pot from the heat. Stir gently and frequently during this time to keep the curds from clumping together. Use the spoon to cut any curds that are too big. The curds will begin to shrink as you bring the temperature up and will tend to settle on the bottom under the whey. This part can be the trickiest, so make sure you don’t have any distractions. You need to make sure that the temperature doesn’t go over 100°F. Once the temperature has reached 100°F you need to maintain that temperature for another 30 minutes. I turn off the burner and carefully cover the pot with the towel again. Stir every 5 or 6 minutes to keep the curds from clumping together. Make sure the temperature stays within 2° of 100°F. Pour out about half of the whey until you have just enough left to cover all the curds. You can keep the whey and use it in smoothies or sauces or gravies. You can also feed it to your animals. 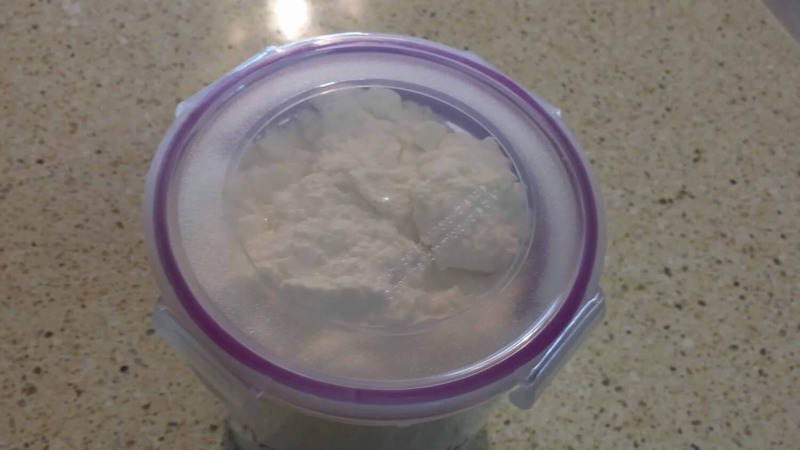 Whey has nutritional benefits that you can read all about in this article here. And once again you need to keep the curds at 100°F for another 30 minutes. Stir every few minutes like before to keep the curds from clumping. After those last l-o-n-g 30 minutes are up, put the curds and remaining whey into a colander lined with butter muslin or an old pillow case. Add the sea salt and the pepper mixture that you chose. 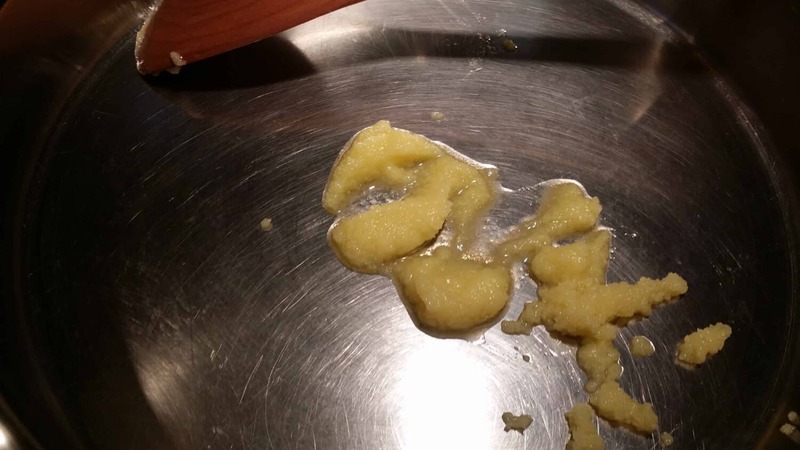 Mix it in carefully with your hands until it’s all equally distributed through out the curds. 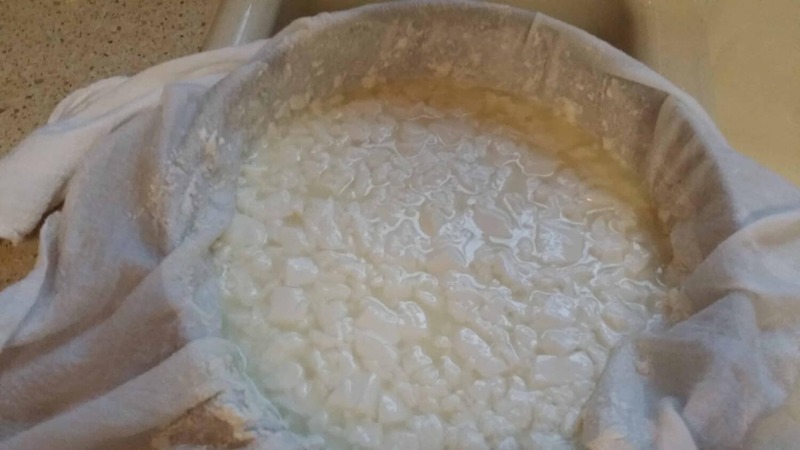 Now allow the curds to drain until most of the whey is gone. Now comes the really fun part. It’s time to load the cheese press! Line your cheese press with a piece of butter muslin. Try to get it as smooth around the sides as you can. Put the curds into the mold in even layers. Fold one side of the butter muslin over the top of the curds and add the pressing plate. Put the follower block on top of that and put it in the press. Tuck the rest of the butter muslin up into the top of the mold so you don’t get puddles of whey everywhere. Make sure you have a drip pan in place before you apply any pressure. Press the cheese at 5 pounds of pressure for 15 minutes. After 15 minutes, remove the cheese from the mold and flip it over onto a fresh piece of butter muslin. This is called “re-dressing”. See what the top of that looks like? Not so pretty, is it? Re-dressing allows you to make sure that both sides of the cheese are flat and purty lookin’. Return the cheese to the press just like it was before and press at 10 pounds of pressure for 12 hours. For the 1st 3 or 4 hours you will have to adjust the pressure frequently as the whey is pressed out and the curds compact. At the end of 12 hours there should not be any more whey being released. If there is, increase the pressure and press for another hour or so. Remove the cheese from the press and allow it to air dry for 2 or 3 days. I use a piece of plastic mesh on top of a cooling rack. That allows air to circulate around it. You can also purchase mats made especially for the purpose of drying cheese. 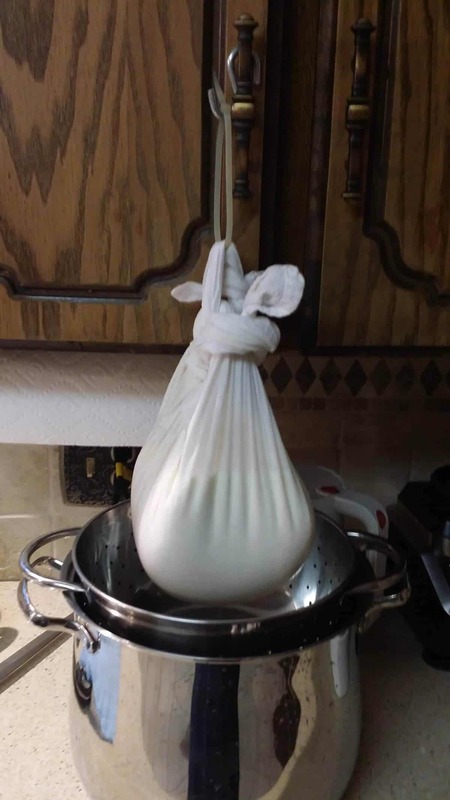 Turn the cheese over 2 or 3 times a day and keep it covered with a light cloth. 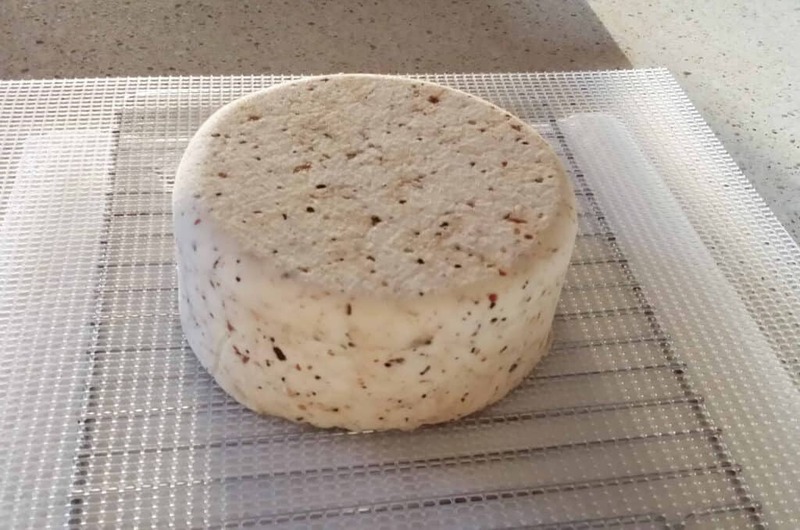 After 2 or 3 days the cheese will be smooth and dry and have a thin rind. 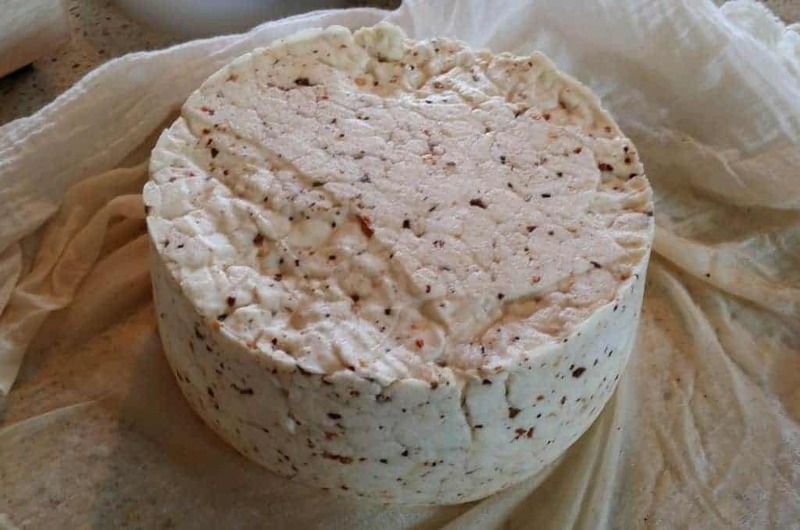 Now that it’s dry to the touch, the cheese needs to age. You can either wax it or seal it with a FoodSaver . I’ve done both and they work equally well. Make sure that you dip a piece of towel in vinegar and wipe it all over the outside of the cheese before waxing or sealing it. That will kill any germies that may be lurking on the rind. 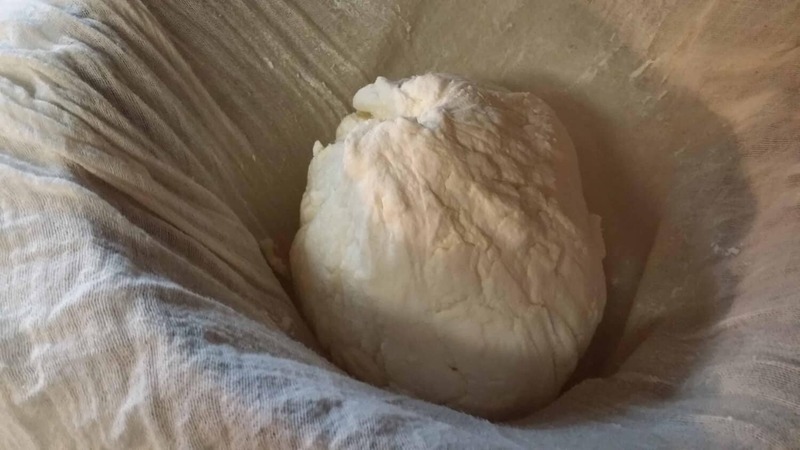 Age the cheese at about 55° to 60°F for a minimum of 30 days. 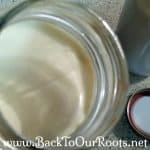 If you used raw milk, you need to age it for a minimum of 60 days. The longer it ages, the stronger and sharper the flavors will be. Turn the cheese over every day so that it ages evenly. 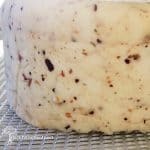 I age my cheeses in the crisper drawer of the fridge. The cooler temperature will make the aging process take longer. So I age it for 45 days or 90 days for raw milk cheese. And, my friend, you would be soooo wrong! Once you’ve done it a few times, it really doesn’t take a lot of hands on time. It’s mostly waiting for the cheese to do it’s thang. And the taste! So amazing! So totally worth it! You’re friends may look at you a little funny when you tell them you’re going to make your own Pepper Jack cheese. But they’re gonna help you eat it for sho’! Heat the milk to 90°F in a stainless steel pot. Add culture and allow to re-hydrate for 2-3 minutes. Stir in with a stainless steel or wooden spoon with an up and down motion. Cover pot and let sit for 30-45 minutes to culture. Stir in any cream that may have separated, and add the rennet and water mixture stirring with an up and down motion. Let the pot sit undisturbed at 90°F for 45 minutes or until the whey separates out from the curd. 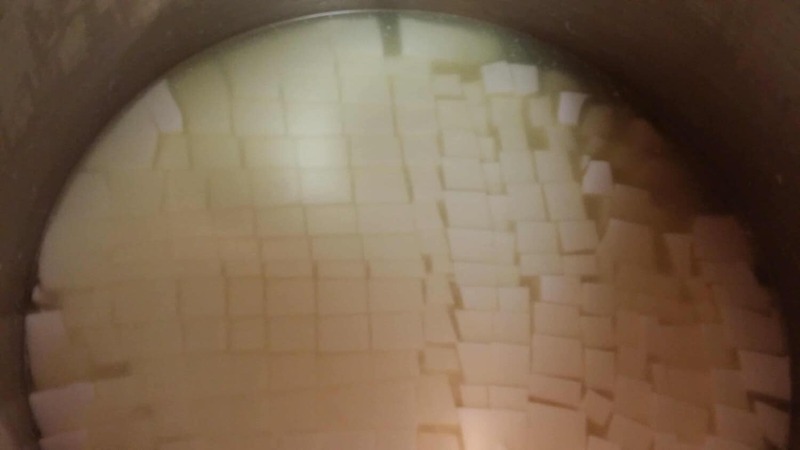 Cut the curd into 1/4 inch cubes and let sit undisturbed for 45 minutes. 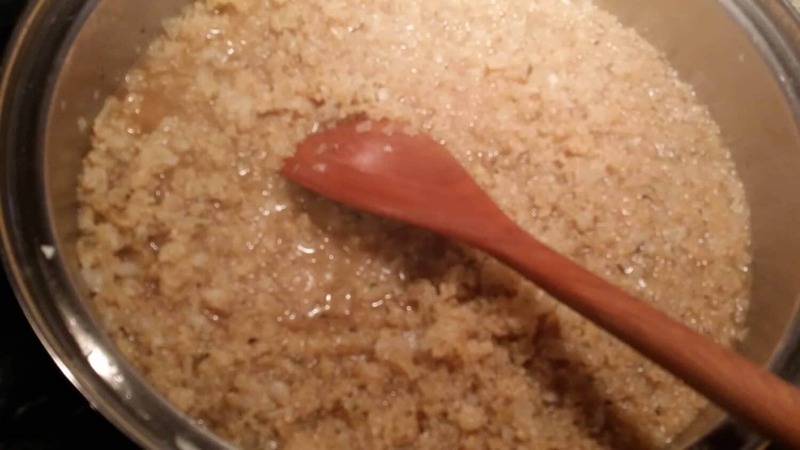 Bring the temperature slowly up to 100°F over the next 30 minutes, stirring frequently. Keep the temperature at 100°F for the next 30 minutes, stirring frequently. Let the curds settle for 5 to 10 minutes and then pour half the whey out. Leave just enough to cover the curds. Keep the curds at 100°F for another 30 minutes, stirring frequently. Pour the curds into the colander lined with butter muslin. Add the sea salt and the pepper mixture. Mix in thoroughly. 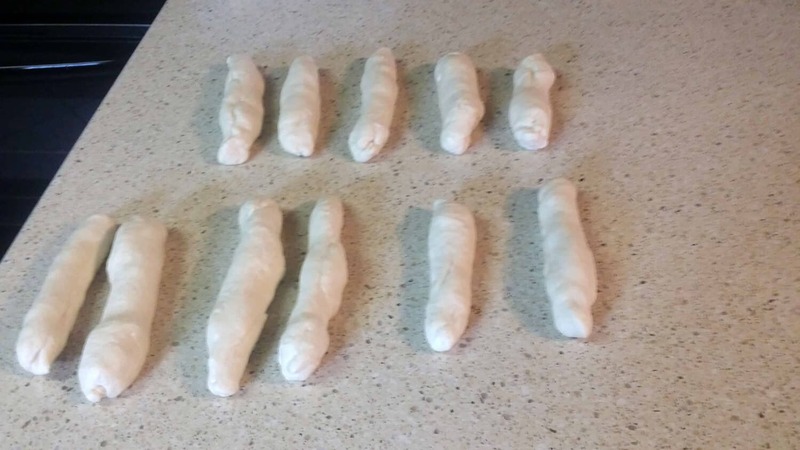 Line the mold of your press with butter muslin and pack the curds in. Press for 15 minutes at 5 pounds of pressure. Remove the cheese and redress. Press for 12 hours at 10 pounds of pressure. Remove cheese from press and allow to air dry for 2 to 3 days. Wax or vacuum seal cheese and age at 55° to 60°F for 30 days or 60 days if you used raw milk. What exactly are preserved lemons, you ask? Salt preserved, fermented lemons are an amazing taste sensation. 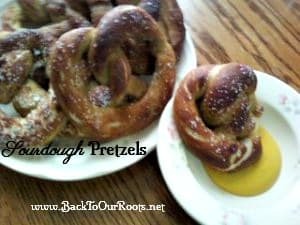 Salty, tart, lemony, and just slightly sweet, they are a great way to wake up your taste buds. Originally from the Mediterranean region where they have oodles of lemons to play with, some recipes call for various spices while others just use salt. 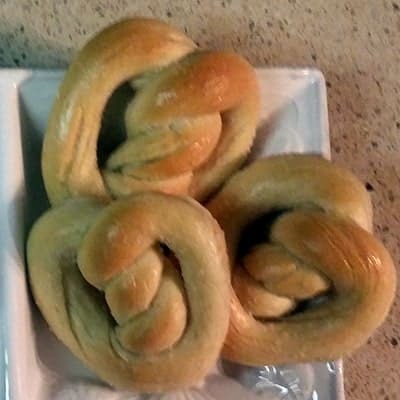 I’ve made these with cinnamon, peppercorns, and a mixture of cinnamon and star anise. 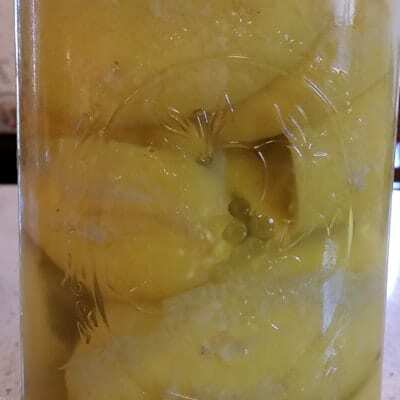 While I enjoy them all, this particular recipe for preserved lemons is just plain. I find the plain ones to be more versatile. Luckily I was able to find some lovely big lemons this time around. So I made a half-gallon jar full because I go through a lot. I really like them on salads and in quinoa. 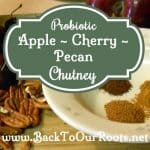 And because they are naturally fermented, they have some probiotic benefits as well. And don’t they just look purty! Clean glass jar with plastic lid – size depends on how many lemons you have. 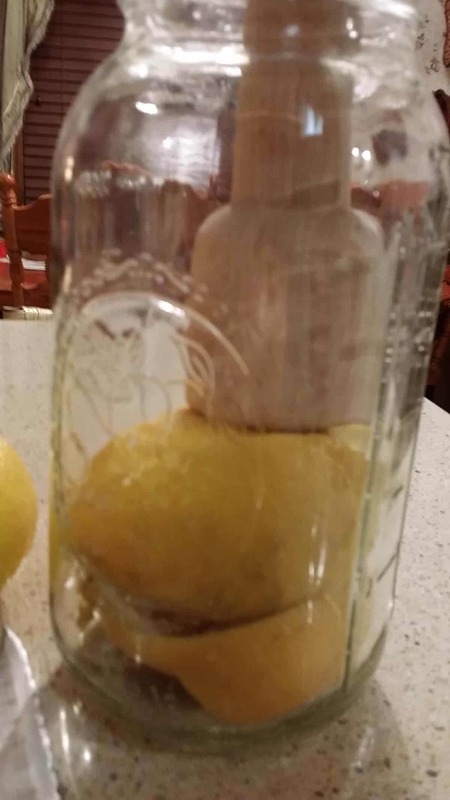 3 large lemons will fill a quart jar. I like to do a 1/2 gallon at a time. I use this to squash all kinds of things. And I can crack pecans with it too! Working with one at a time, cut the lemons in quarters leaving about a 1/2 to a 1/4 inch hinge-y thing at the bottom. Now take a tablespoon of the sea salt and rub it all over the cut edges. When it’s all salted up, stick it inside the jar and squash it a little. We want the juice to squish out and you’ll need to pack them pretty tightly into the jar. Make sure you squash each one as you put it into the jar. If you try to wait til the end to squash them all it doesn’t work very well. Just trust me on this, mmmkay? Continue cutting, salting, and squashing your lemons until the jar is full, leaving about an inch of head space. I got 7 big lemons in the 1/2 gallon jar. 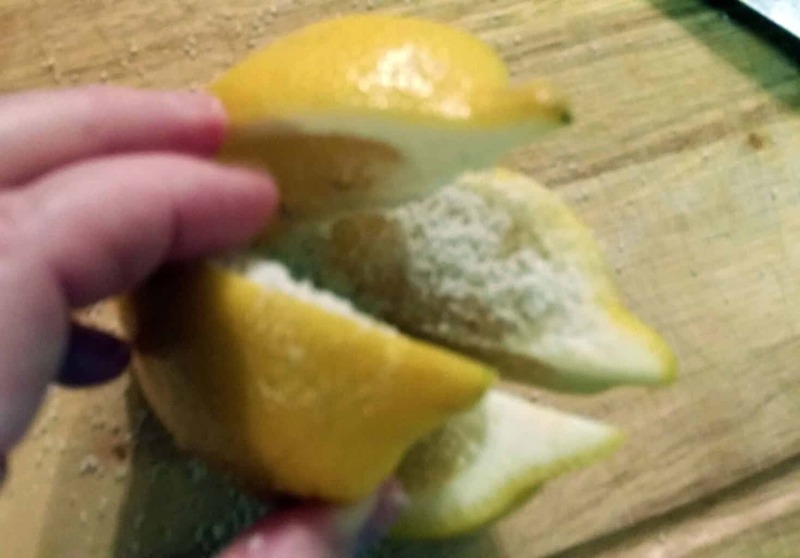 Now take the lemons you have left and cut them in half and juice them. isn’t my grandmother’s juicer cool? Mix up the juice with the sea salt you have left and pour it into the jar to cover everything. If there’s not quite enough liquid to cover, try mashing the lemons down some more. You can add some water if you need to so that they stay covered. You may also need to weigh them down to keep them under the brine. I used some glass fermenting weights that I got online. You could also use a zip lock baggie filled with water. Just make sure that you can get the lid on the jar. Once everything is all safely tucked under the brine, put the lid on the jar. Luckily, the fermenting part just kinda happens on it’s own. The lactobacilli that are on the lemons will do all the work for you. Lactobacilli are friendly bacteria that are present virtually everywhere. 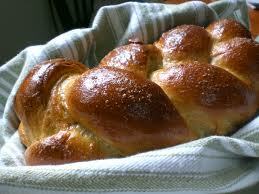 They convert sugars and starches to lactic acid, which is an important dietary component. 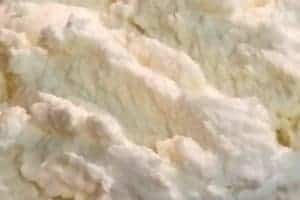 They are also the bacteria that culture yogurt and buttermilk. They’re really good for your digestion, too. So now put the jar somewhere where it’s not in your way, but you will remember to check it. And let it do it’s thang. This ferment will take anywhere from 1 to 4 weeks depending on the size of the lemons and the temperature of your house. Larger lemons will take longer, warmer temperatures will speed things up. 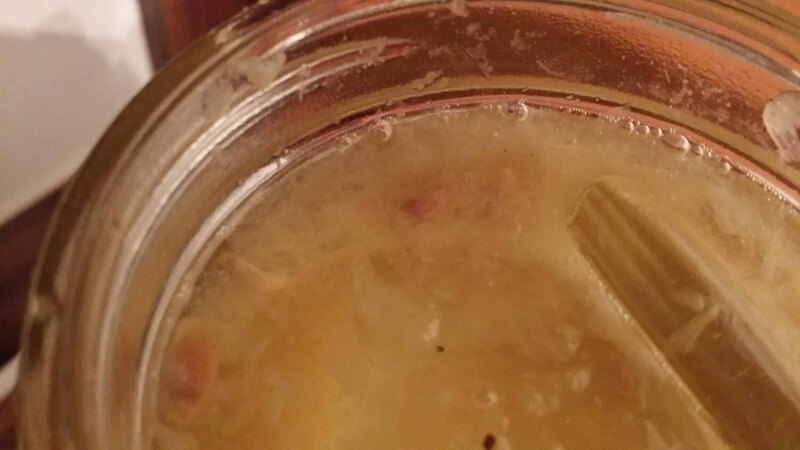 Make sure you burp the jar a couple of times a day. 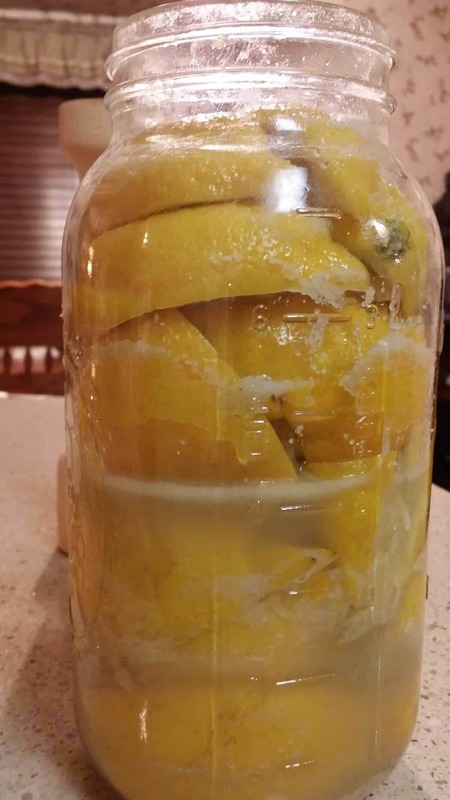 Gas will build up as the lemons ferment and you don’t want anything shooting out of the top when you open the jar! 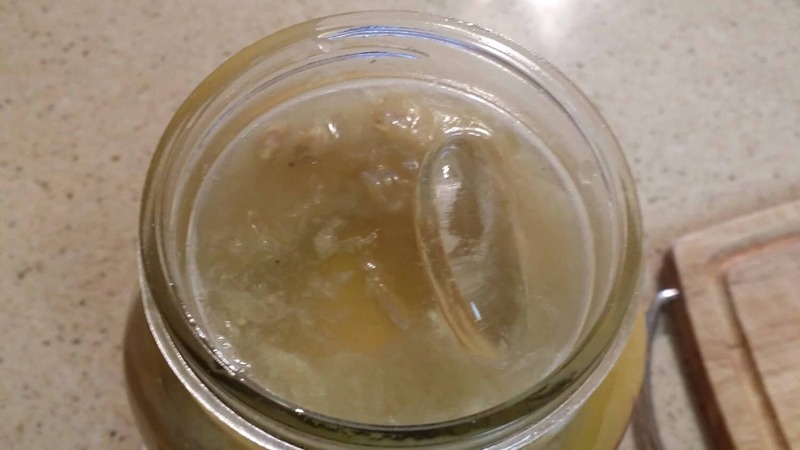 The lemons are finished fermenting when the bubbling in the jar has subsided and the rind is soft and pliable. I like to chop them up and throw them into salads. 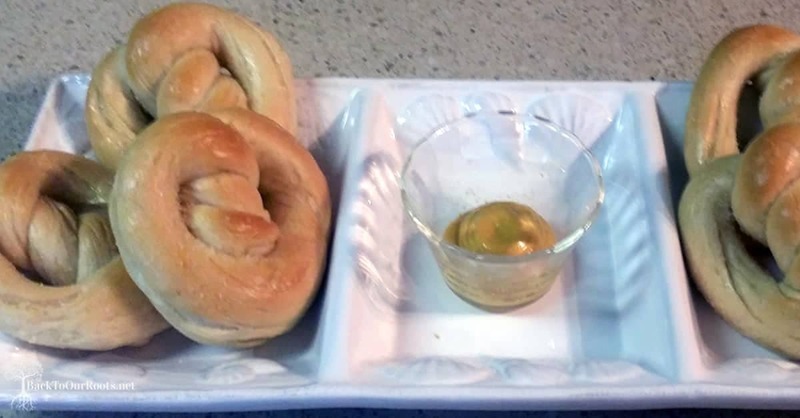 You can also serve them diced like pickles or olives. I’ve even used them to stuff inside a chicken that I’m roasting. I’m not gonna lie. The aroma from that was pretty amazing. And it made the chicken moist and lemony. 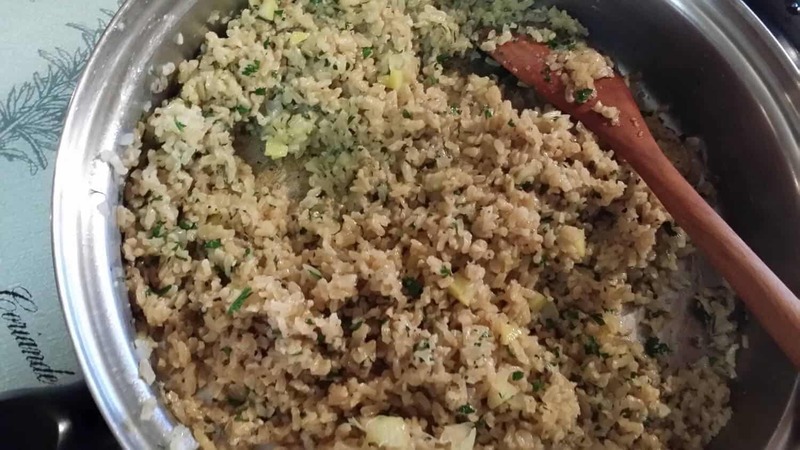 I also love them in my Brown Rice Pilaf! They would be pretty darn good in a chicken salad sandwich, too, I think. That’s on the list to make. There are so many ways to use these guys. Be creative! These preserved lemons are salty, tart, and lemony, and are a great way to wake up your taste buds. 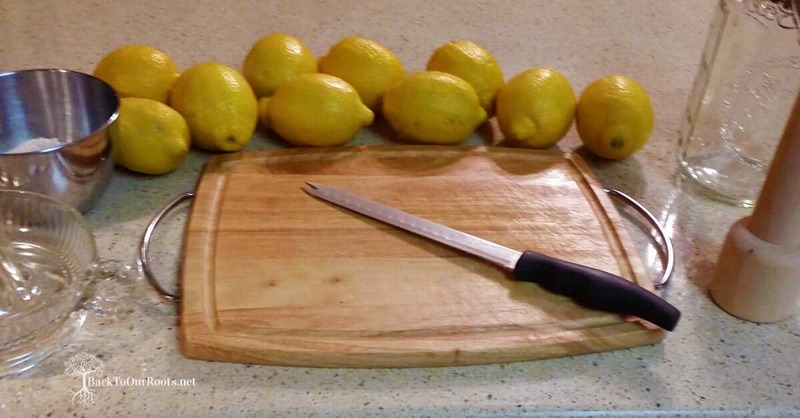 Working with 1 lemon at a time, cut the lemons in quarters leaving about a 1/2 to a 1/4 inch intact at the bottom. Take a Tbsp of sea salt and rub it all over the cut edges. 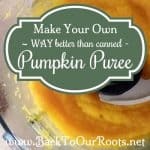 Now stick it inside the jar and squash it a little. You want the juice to come out and you want to pack the lemons pretty tightly into the jar. Continue cutting, salting, and squashing until the jar is full, leaving about an inch of head space. Now take the ones you have left and cut them in half and juice them. Mix the juice with the sea salt you have left and pour it into the jar to cover everything up. If there's not quite enough liquid to cover you can add some water so that everything stays covered. You may also need to weigh them down to keep them under the brine. I used some glass fermenting weights that I got from Cultures for Health. You could also use a zip lock baggie filled with water. Just make sure that you can get the lid on the jar. Once your lemons are all safely tucked under the brine, put the lid on the jar. Now put the jar somewhere where it's not in your way. 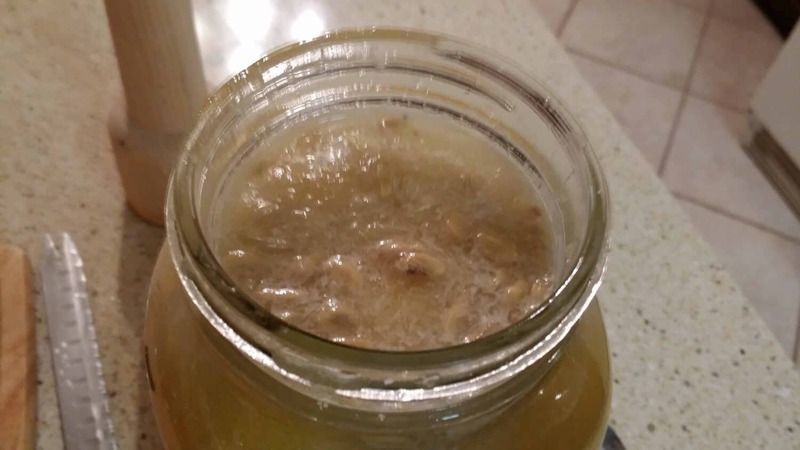 This ferment will take anywhere from 1 to 4 weeks depending on the size of the lemons and the temperature of your house. Larger ones will take longer, warmer temperatures will speed things up. Make sure you burp the jar periodically. 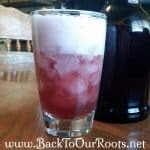 Gas will build up as they ferment and you don't want anything shooting out of the top when you open the jar! The lemons are done when the bubbling has subsided and the rind is soft and pliable.